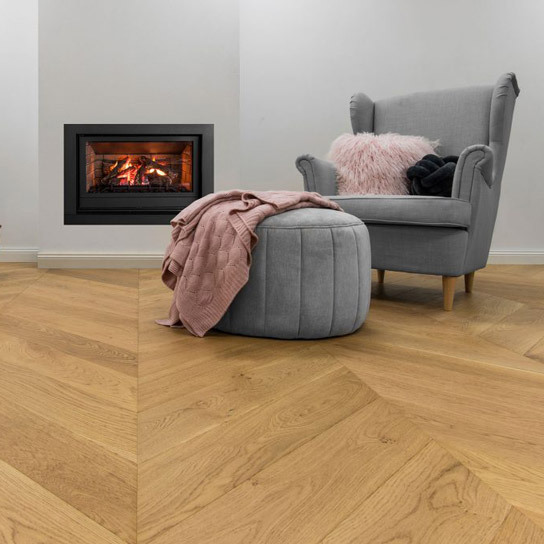 When people come to the decision to install timber flooring, they often face the problem of not being able to find a guide that can teach them how to do it. This common predicament is what inspired us to write a detailed guide on how to install oak timber flooring. This guide is organized in the most effective and helpful way possible. We hope that your do-it-yourself experience is very rewarding, satisfying, memorable and worth-while like it has been for us. 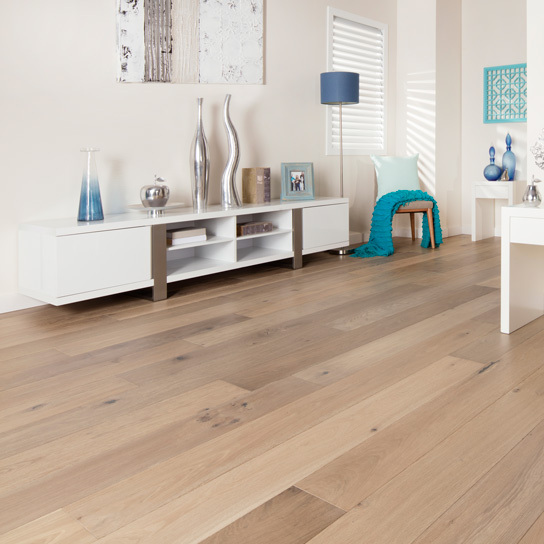 Despite the ever-increasing selection of hardwood flooring materials available, oak continues to be a popular choice. It is one of the most abundant domestic hardwoods, and whether or not you stain it, oak blends well with a variety of decor motifs. Wood is a natural material that is affected by temperature and moisture, and it will swell and shrink accordingly. 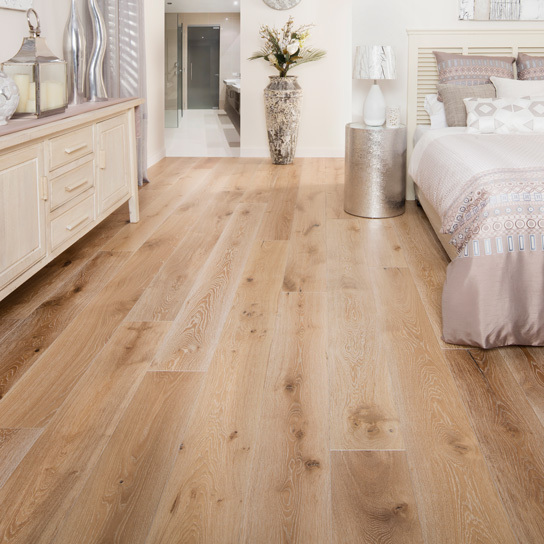 Load your oak flooring into the room you want to install it in and let it “acclimatize” in that room for a few days. Whether or not you use an underlayment is a personal preference, but most professionals will recommend it. 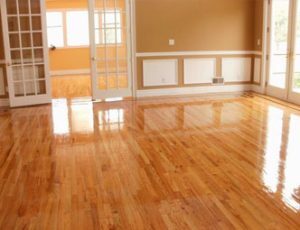 Felt paper, tar paper and rosin paper are standard underlayment for oak flooring. These help protect the flooring from moisture that may migrate upward from the area below the subfloor, and they help to prevent squeaking. Wood filler is simply inserted into the holes made by nail heads. 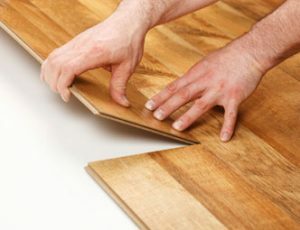 Once the wood filler dries, you will lightly sand it with finish-grit sandpaper until it matches the surrounding area. Install the rest of the boards by blind-nailing them — which means to nail them through their tongues — with 2-inch flooring cleats. Use a pneumatic flooring nailer or a nail gun to drive the nails. Complete the project. Continue to cut and lay the planks as described above. Lay each subsequent row of planking tight against the previous row. Every few row, go back and look for weak spots or areas where the floor seems to bubble up this could indicate a missing nail or crooked installation. 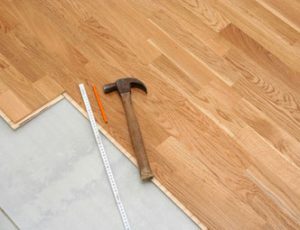 Once your floor is finished it will be hard to fix these areas, so try to get it right the first time. 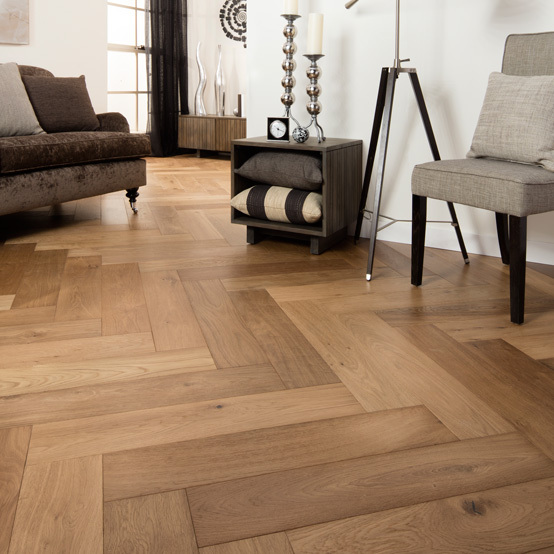 If you need more information about oak flooring installation, please refer to Grand Oak’s Installation Instructions.